After a short but bitterly fought, insult-laden campaign, Chávista standard-bearer Nicolás Maduro defeated challenger Henrique Capriles, thus assuring continuity in Venezuela after the death of the former president, Hugo Chávez, last month. But the election was much closer than the polls predicted: a margin of just 1.6%, or about 275,000 votes. Capriles is demanding an audit of 100% of all votes; Maduro has apparently agreed. But the audit is unlikely to change the outcome. Unlike in the United States, where in a close election we really don't know who won, the Venezuelan system is very secure. Since there are two records of every vote (machine and paper ballot), it is nearly impossible to rig the machines and stuff the ballot boxes to match. Jimmy Carter called Venezuela's electoral system "the best in the world." Polling data published by Reuters at the end of the campaign showed a close correlation between support for Maduro and Venezuelans' contact with the misiones, or social programmes, established by Chávez, that provided everything from healthcare and subsidised food to college education. 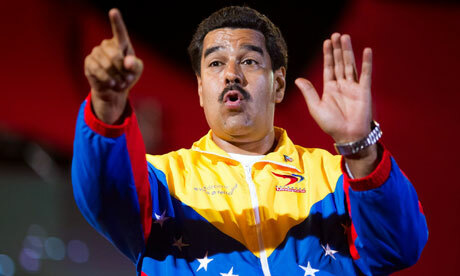 Capriles, who mostly attacked Maduro for not being Chávez, pledged to maintain and expand the misiones. But this was not sufficient to win over enough of the swing voters who, while numerous enough to determine the outcome, probably did not believe that a scion of Venezuela's wealthy elite who hailed from a rightwing party (Primero Justicia, or Justice First) would keep that promise. Of course, it was not just the success of the misiones that won Chávismo another seven years of the presidency. There were major improvements in Venezuelans' living standards during the Chávez years. After the government got control over the national oil industry, poverty was reduced by half and extreme poverty by about 70%. Real income per person grew by about 2.5% annually from 2004 to 2012, and inequality fell sharply. Unemployment was 8% in 2012, as opposed to 14.5% when Chávez took office. These numbers are not in dispute among economists or other experts, nor among international agencies such as the World Bank, IMF or UN. But they are rarely reported in the major western media. In their ongoing efforts to delegitimise Venezuela's government, the punditry and press often portray the Chávistas as having an unfair advantage in these elections. But this election, like the presidential election in October, was conducted on about as level a playing field as any in the region. The Chávistas have the government, but the opposition has most of the wealth and income of the country, as well as the majority of the media. State TV has about a 6% share of the audience (and they actually aired Capriles campaign ads last week); and the opposition has a clear advantage in both print and radio. Compare that to Mexico's last two presidential elections, where the left-of-centre candidate had little chance against a rightwing media duopoly that determined the outcome of the election (if it wasn't stolen altogether in 2006). But the new government does face serious challenges, and the closeness of this election should be a wake-up call. It needs to fix the exchange rate system and bring down inflation, and resolve the problem of shortages – these three problems are closely related. Hopefully, it will resist the temptation to lower inflation and reduce imports by shrinking the economy – it is important to maintain aggregate demand, growth and employment, and the country very much needs more public investment in infrastructure. The economy has been growing for nearly three years now, after a downturn brought on by the world recession that ended in mid-2010; and until the last quarter of last year this accelerating growth was accompanied by falling inflation. It should be possible to return to this scenario with the right policies. This article appeared on CommonDreams.org via The Guardian UK.